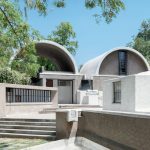 With the exhibition Balkrishna Doshi: Architecture for the People, Vitra Design Museum presents the first international retrospective about the 2018 Pritzker Prize laureate Balkrishna Doshi (born 1927, Pune, India) outside of Asia. 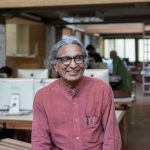 The renowned architect and urban planner is one of the few pioneers of modern architecture in his home country and the first Indian architect to receive the prestigious award. 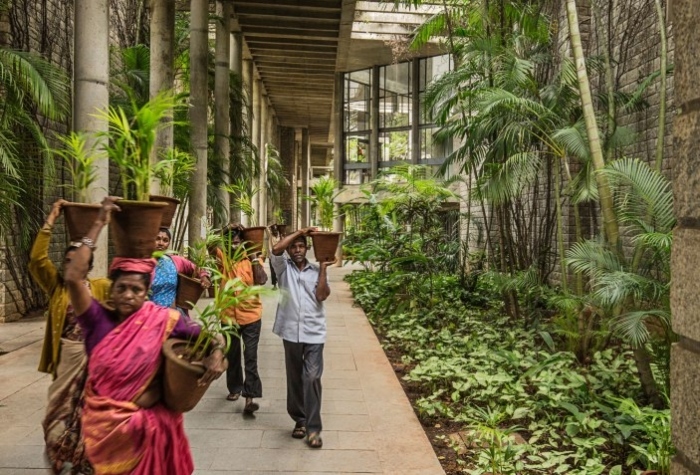 During over 60 years of practice, Doshi has realized a wide range of projects, adopting principles of modern architecture and adapting them to local culture, traditions, resources, and nature. The exhibition will present numerous significant projects realized between 1958 and 2014, ranging in scale from entire cities and town planning projects to academic campuses as well as cultural institutions and public administrative offices, from private residences to interiors. 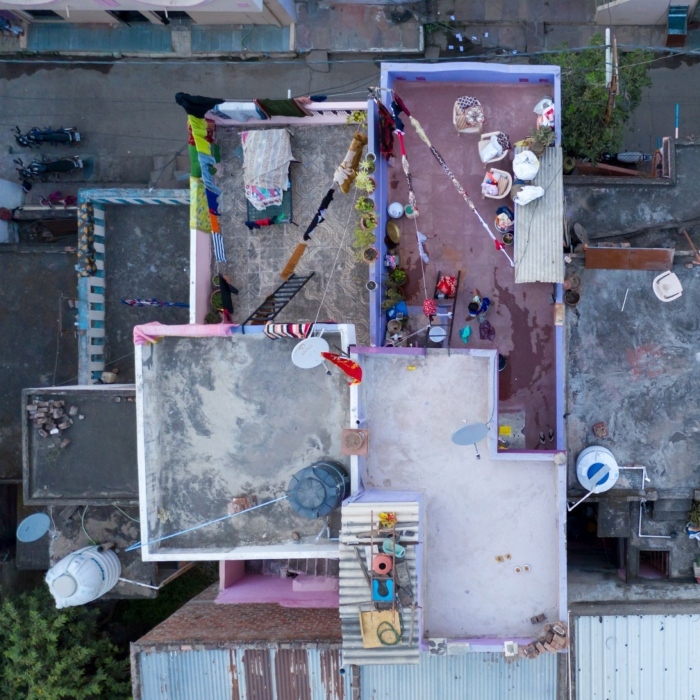 Among these works are pioneering buildings like the Indian Institute of Management (1977, 1992), Doshi’s architectural studio Sangath (1980), and the famous low – cost housing project Aranya (1989). Exhibits will include a wealth of original works such as drawings, models, and art works from Doshi’s archive and studio, but also photography, film footage and several full-scale installations. An extensive timeline will give an overview of the architect’s career from 1947 until today, attesting to his close relationships with other influential architects and thought leaders such as Le Corbusier and Christopher Alexander. 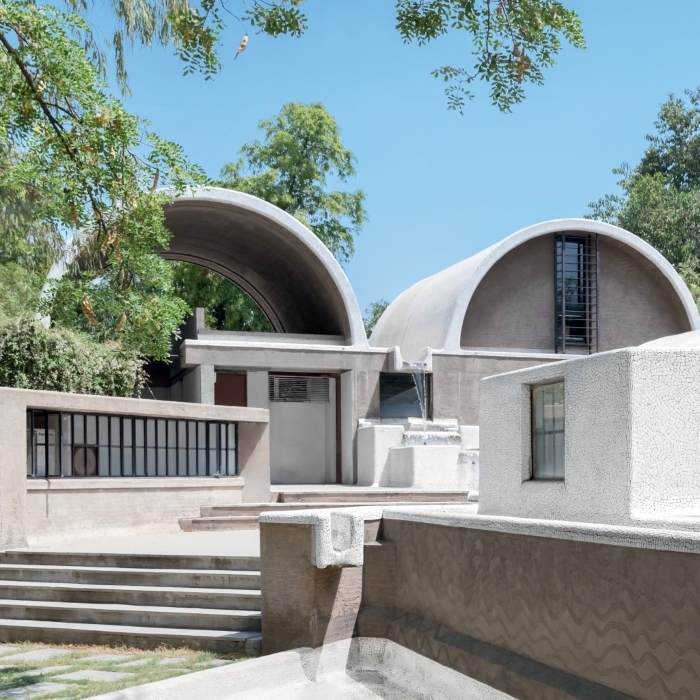 The exhibition Balkrishna Doshi: Architecture for the People will open Doshi’s work to a global audience and show how the architect’s work has redefined modern Indian architecture as well as shaped new generations of architects. 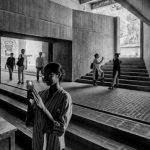 Therefore, the retrospective does not only offer an overview of Doshi’s architectural work, but also reflect on its underlying ideals and social context. Doshi’s humanist philosophy was shaped by his Indian roots as well as his western education and the rapidly changing context of Indian society since the early 1950s. His architectural vocabulary, which is both poetic and functional, was strongly influenced by what he learned from Le Corbusier, with whom he collaborated on the design of the Indian city of Chandigarh and on other projects, and from his experiences with Louis Kahn, who conceived the design for the Institute of Management. Reaching beyond these early models, Doshi developed an approach that oscillates between industrialism and primitivism, between modern architecture and traditional form. 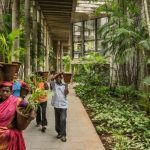 His practice is based on ideas of sustainability and aims to root architecture in a larger context of culture and environment as well as social, ethical, and religious beliefs. 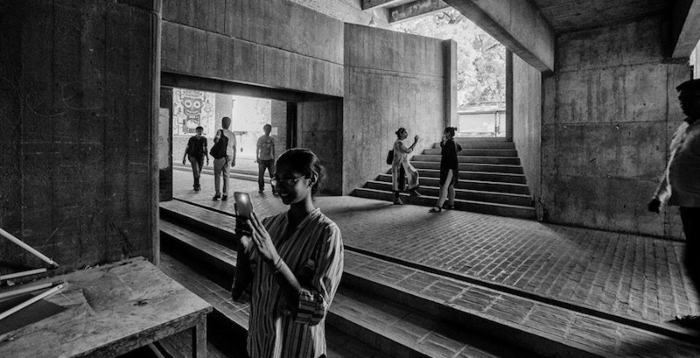 The retrospective follows four main themes, beginning with a look at Doshi’s educational buildings. 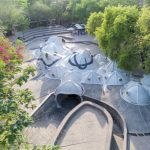 A key project here is the campus of the Centre for Environmental Planning and Technology (CEPT) in Ahmedabad, on which Doshi has realized some of his most significant buildings over a period of 40 years. 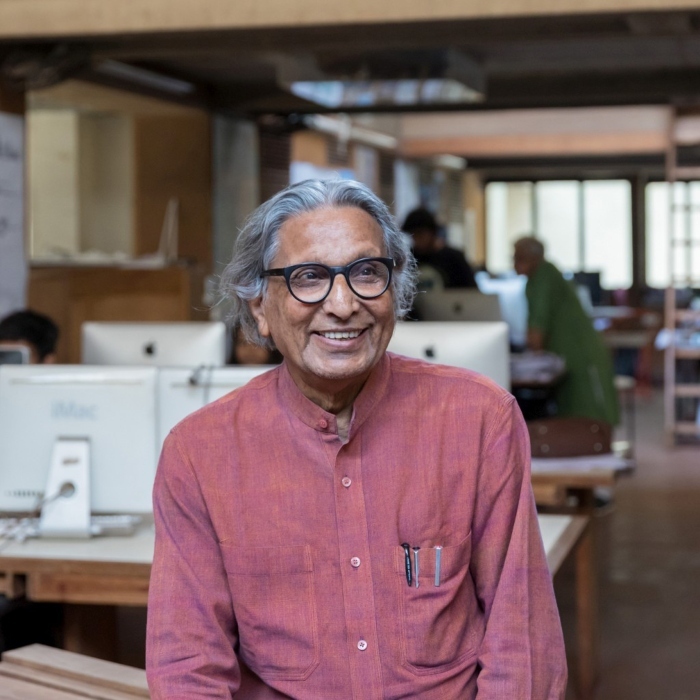 In 1968, Doshi established the School of Architecture, a multi-disciplinary institution grounded in the belief that education is nourished by interdisciplinary interactions. 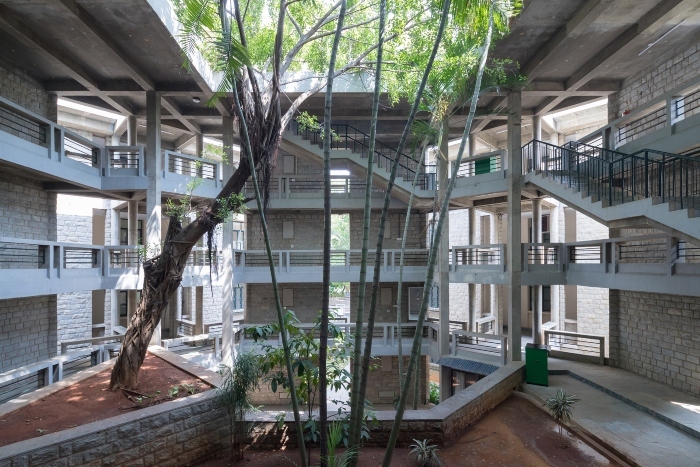 To foster exchange and dialogue among students and faculty alike, Doshi designed the building as a free-flowing space without compartmentalization or segregation. 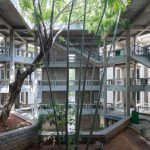 Both through its buildings and its teachings, the school has changed the face of architectural education in India; it has also become one of the country’s most important centres for urban planning. While the School of Architecture is raised above the ground on top of an old brick kiln that greatly influenced its plan and layout, the art gallery Amdavad Ni Gufa (1994) on the same campus is half – buried in the ground – gufa is Gujarati for cave – to solve issues arising from the local climate. While its structure of different-sized mounds integrated into the natural landscape is based on computer-aided design, the construction was carried out by unskilled workers using waste products and simple hand tools. 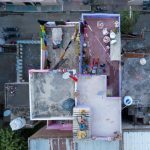 The exhibition’s second section focuses on home and identity and examines the power of architecture to bring about social change. 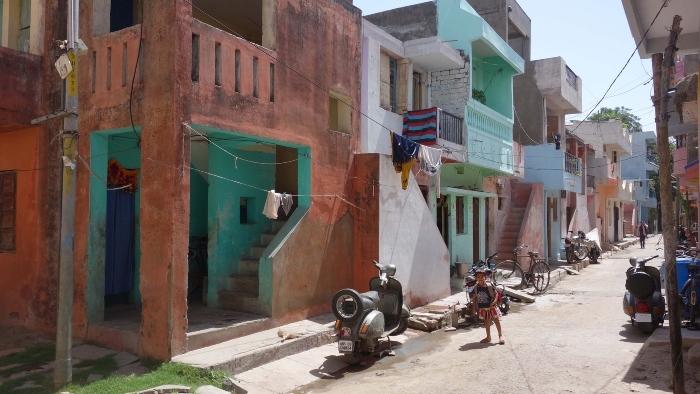 Inspired by Mahatma Gandhi, Doshi developed new approaches to social and experimental housing based on participation and the possibility to adapt to the users’ changing needs and requirements, as seen in such outstanding examples as the Housing Development for the Life Insurance Corporation of India (LIC), known locally as Bima Nagar, in Ahmedabad (1973) and Aranya Low Cost Housing (1989) in Indore. Aranya was built as a model project and today accommodates over 80,000 individuals. A modular system allows the inhabitants to customise their homes and adapt them to their needs, their personal preferences, and their economic possibilities. 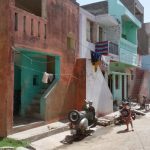 The project was predicated on a sites and services approach, in which electricity, water, and sewer services were provided, but the houses were built minimally as a service core that each family could extend. An example for Doshi’s residential planning on a smaller scale is his own house, called Kamala House (1963). This generous yet economical building with a cross-shaped floor plan maximizes lighting throughout all spaces, while insulated brick walls trap and minimise the summer heat. The third section revolves around the many institutions Doshi has participated in building during the last 60 years. An important example for this is the Indian Institute of Management (IIM) in Bangalore (1977, 1992). The large campus of this institution was built over a period of 20 years in a process that involved numerous additions and alterations. Its courtyards are designed as large gardens, its corridors perceived as interactive nodes of spontaneous communication, while both extend the learning spaces. Pergolas and cut-outs within corridors fringed with greenery transform space through the changing light they receives during the day. With its fascinating architectural conception, the Indian Institute of Management has become an important think tank contributing to India’s emergence as an economic power over the last decades. 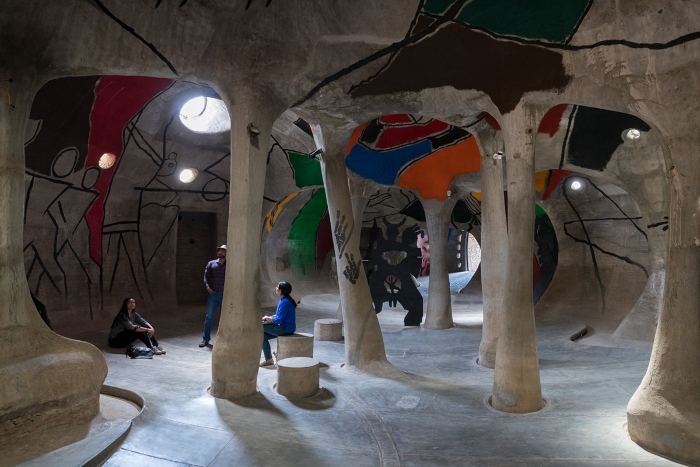 Another milestone in Balkrishna Doshi’s institutional architecture is his own studio Sangath in Ahmedabad (1980). 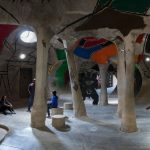 Memories of his childhood home and of Le Corbusier’s studio in Paris are fused in this building’s vocabulary of spaces. Sangath means moving together in Gujarati, and today three generations of Doshi’s family work here side by side. As with all of his buildings, landscape, climate, and purpose are an integral part of his design. Overnight the studio space can be converted into a concert hall or a lecture hall. Surrounded by Ahmedabad’s new high-rises and the elevated metro line, Sangath stands as an oasis within the bustling city. The final section of the exhibition is dedicated to Doshi’s large-scale town planning projects, exemplified by the masterplan and urban design guidelines for Vidhyadhar Nagar (1984), a residential development for 150,000 dwellings located in the outskirts of Jaipur in Rajasthan in northern India. Conceived as an energy – conscious city on a 350-hectare site, it is inspired by the old walled city of Jaipur. An amalgamation of ancient town planning principles, contemporary needs, and contextual realities, the city and its infrastructure were designed to serve the needs of up to 400,000 inhabitants. The social amenities such as schools, health centres, and playgrounds were planned along the linear open space forming the central activity spine. Natural stone, overhangs, and balconies not only helped improve the micro-climate but also recreated the visual experience of the local traditional architecture.